In Spring 2016 I was taking 18.757 Representations of Lie Algebras. Since I knew next to nothing about either Lie groups or algebras, I was forced to quickly learn about their basic facts and properties. These are the notes that I wrote up accordingly. Proofs of most of these facts can be found in standard textbooks, for example Kirillov. Let or , depending on taste. A Lie group is a group which is also a -manifold; the multiplication maps (by ) and the inversion map (by ) are required to be smooth. A morphism of Lie groups is a map which is both a map of manifolds and a group homomorphism. Throughout, we will let denote the identity, or if we need further emphasis. Let be a Lie group and the connected component of which contains . 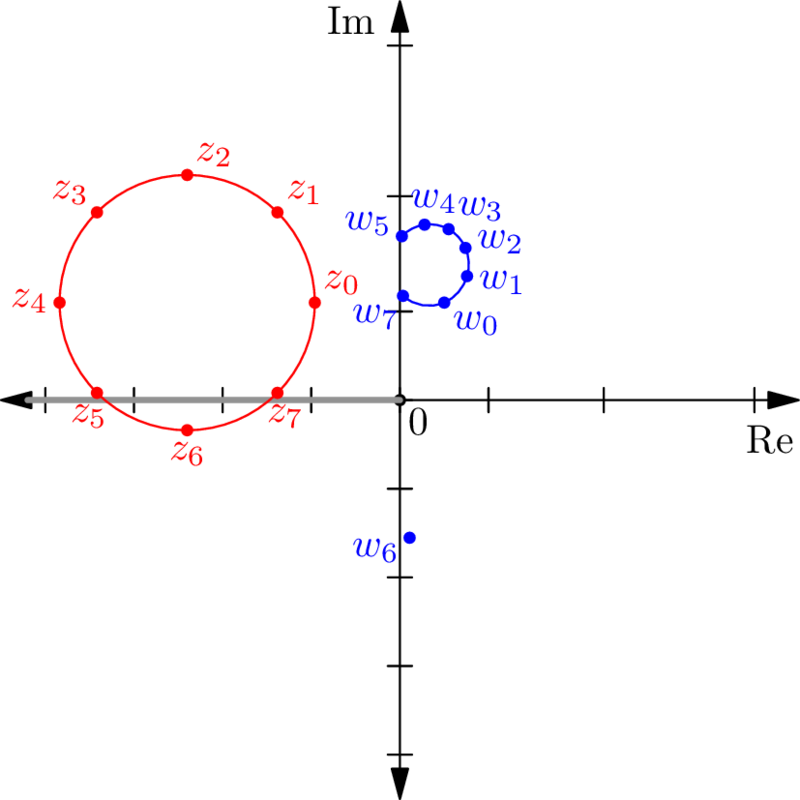 Then is a normal subgroup, itself a Lie group, and the quotient has the discrete topology. In fact, we can also reduce this to the study of simply connected Lie groups as follows. If is connected, let be its universal cover. Then is a Lie group, is a morphism of Lie groups, and . Here are some examples of Lie groups. under addition is a real one-dimensional Lie group. under addition is a complex one-dimensional Lie group (and a two-dimensional real Lie group)! 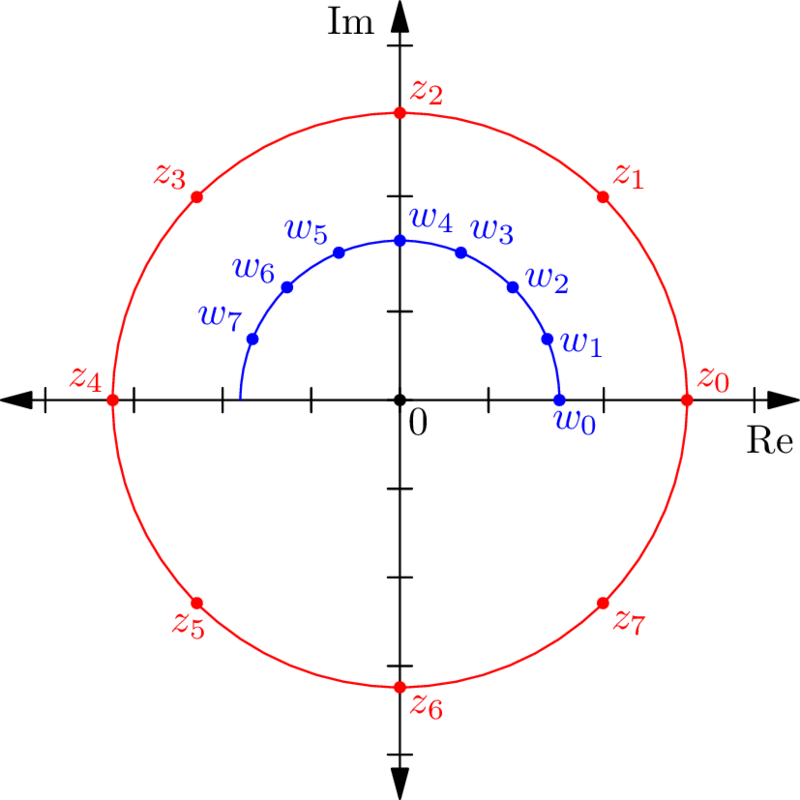 The unit circle is a real Lie group under multiplication. is a Lie group of dimension . This example becomes important for representation theory: a representation of a Lie group is a morphism of Lie groups . is a Lie group of dimension . If is a connected Lie group and is a neighborhood of the identity , then generates as a group. For any finite group , is semisimple; all finite-dimensional representations decompose into irreducibles. which is -invariant. Thus given a subrepresentation we can just take its orthogonal complement to decompose . for any Borel subset and “translate” . 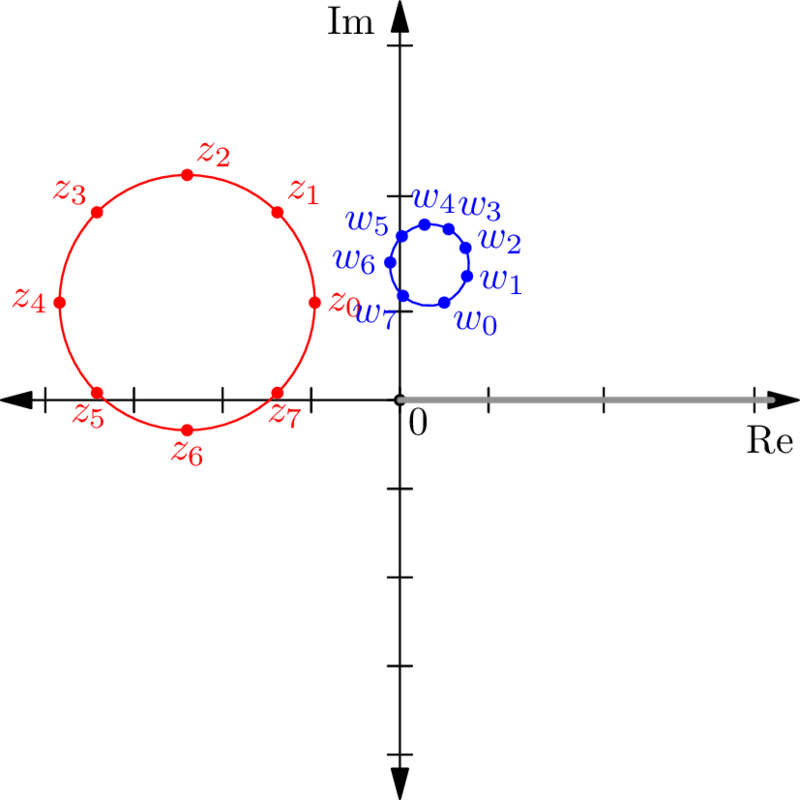 This measure is called the (left) Haar measure. The Haar measure on is the standard Lebesgue measure which assigns to the closed interval . Of course for any , for . In particular, . One sees the invariance under multiplication of these intervals. across complex arguments . The normalization factor of ensures . If the Lie group is compact, there is a unique Haar measure with . is semisimple for any compact Lie group . as we described at the beginning. In light of the previous comment about neighborhoods of generating , we see that to get some information about the entire Lie group it actually suffices to just get “local” information of at the point (this is one formalization of the fact that Lie groups are super symmetric). To do this one idea is to look at the tangent space. Let be an -dimensional Lie group (over ) and consider the tangent space to at the identity . Naturally, this is a -vector space of dimension . We call it the Lie algebra associated to . has a real Lie algebra isomorphic to . has a complex Lie algebra isomorphic to . 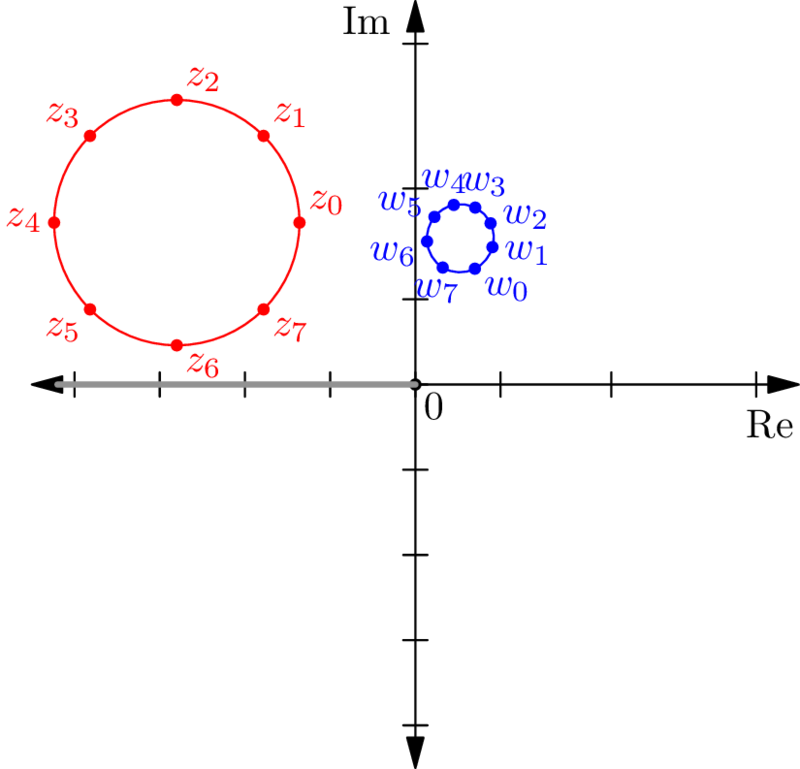 The unit circle has a real Lie algebra isomorphic to , which we think of as the “tangent line” at the point . Let’s consider , an open subset of . Its tangent space should just be an -dimensional -vector space. By identifying the components in the obvious way, we can think of this Lie algebra as just the set of all matrices. This Lie algebra goes by the notation . We will write to emphasize the argument being thought of as “time”. Thus this proposition should be intuitively clear: the theory of differential equations guarantees that is defined and unique in a small neighborhood of . Then, the group structure allows us to extend uniquely to the rest of , giving a trajectory across all of . This is sometimes called a one-parameter subgroup of , but we won’t use this terminology anywhere in what follows. The exponential map gets its name from the fact that for all the examples I discussed before, it is actually just the map . Note that below, for a matrix ; this is called the matrix exponential. Here we had to check that if , meaning , then . This can be seen by writing in an upper triangular basis. , which is immediate by looking at the constant trajectory . , i.e. the total derivative is the identity. This is again by construction. In particular, by the inverse function theorem this implies that is a diffeomorphism in a neighborhood of , onto a neighborhood of . 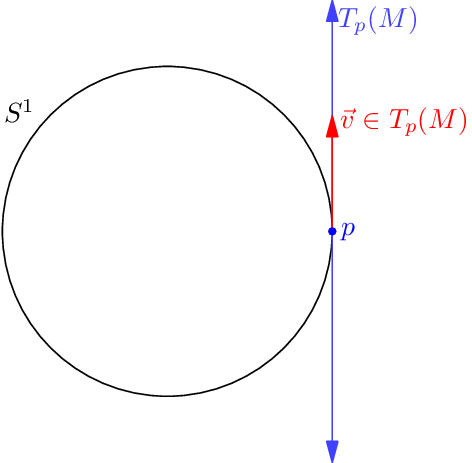 Right now is still just a vector space, the tangent space. But now that there is map , we can use it to put a new operation on , the so-called commutator. The idea is follows: we want to “multiply” two elements of . But is just a vector space, so we can’t do that. However, itself has a group multiplication, so we should pass to using , use the multiplication in and then come back. Here are the details. As we just mentioned, is a diffeomorphism near . So for , close to the origin of , we can look at and , which are two elements of close to . Multiplying them gives an element still close to , so its equal to for some unique , call it . This is called the commutator of . The general formula is called the Baker-Campbell-Hausdorff formula. Then we can force ourselves to expand this using the first three terms of the BCS formula and then equate the degree three terms. The left-hand side expands initially as , and the next step would be something ugly. This computation is horrifying and painful, so I’ll pretend I did it and tell you the end result is as claimed. There is a more natural way to see why this identity is the “right one”; see Qiaochu. However, with this proof I want to make the point that this Jacobi identity is not our decision: instead, the Jacobi identity is forced upon us by associativity in . If is an abelian group, we have by symmetry and from . Thus in for any abelian Lie group . In particular, the brackets for are trivial. A Lie algebra over is a -vector space equipped with a skew-symmetric bilinear bracket satisfying the Jacobi identity. A morphism of Lie algebras and preserves the bracket. Note that a Lie algebra may even be infinite-dimensional (even though we are assuming is finite-dimensional, so that they will never come up as a tangent space). Any associative algebra over can be made into a Lie algebra by taking the same underlying vector space, and using the bracket . into the category of finite-dimensional Lie algebras. A Lie subgroup of a Lie group is a subgroup such that the inclusion map is also an injective immersion. A Lie subalgebra of a Lie algebra is a vector subspace preserved under the bracket (meaning that ). is a bijection between Lie subgroups of and Lie subalgebras of . to the category of finite-dimensional Lie algebras over . (Lie III) is essentially surjective on objects. 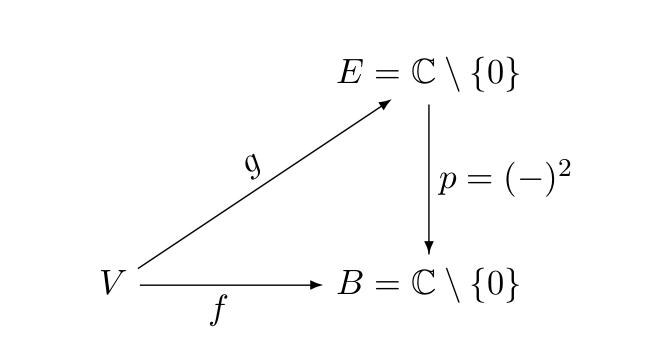 If we drop the “simply connected” condition, we obtain a functor which is faithful and exact, but not full: non-isomorphic Lie groups can have isomorphic Lie algebras (one example is and ).